More than one person may be needed to carry out the harvest process depending on the circumstances. We see the same parallel in the mission field. 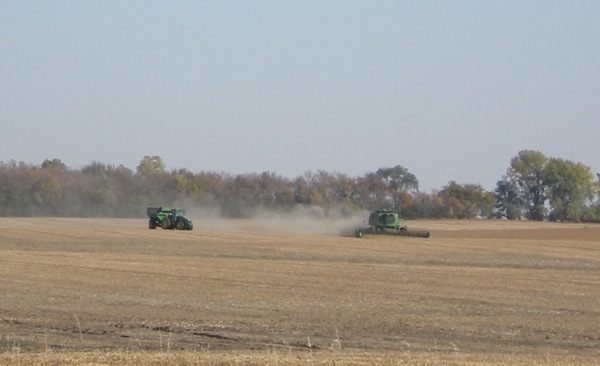 “And He called the twelve to Himself, and began to send them out two by two…” (Mark 6:7 NKJV) In some instances, one person operates the combine and next to it the second person drives the tractor with the grain cart. If multiple acreages are harvested concurrently, full grain carts may be emptied into a nearby semi-truck before a third person transports the yield to the storage unit or elevator. Go to the next devotion entitled, “Sickle”, in this Harvest devotional series!